Losing a loved one is undoubtedly a tragic happening in anyone’s life. What makes you lose your heart the more is when the insurance company refuses to pay the death benefit. Though it doesn’t happen every other day as unlike disputed auto or property claims it’s very hard to fake a death, there are isolated instances. That said, when a family or an heir faces such a claim denial, they often remain ill-prepared to fight back. In fact, their unprofessional way to find an answer often does more harm than good to their cases. Why does the insurance company deny? The person failed to pay premiums on time; hence, the policy lapsed: The main reason for which an insurance company usually denies your claim is because the coverage remains no longer in force when the claim is made. Often, people let their policies expire and never let their families or heirs know about the same. The person lied or made a false representation while applying: In life insurance, the two things that affect the costs are your age and health. If you’ve said 30 instead of 35 while opting for the policy, they may not cancel the policy altogether but will subtract the additional premium due from the benefit amount. The person’s death fell outside the scope of the coverage: Though many firms have been excluding exclusion from their policies in recent days, still there are many policies that exclude suicide within the first 2 years of coverage and certain accidental deaths. Some policies may even exclude death during acts of war, military service, aviation, adventure games, and few health hazards like HIV. The family or heirs failed to provide necessary documentation: Most people find difficulty with the paperwork as the person mostly leaves without handing over the right documents. Even just having the death certificate isn’t enough and not going to start the payment process. 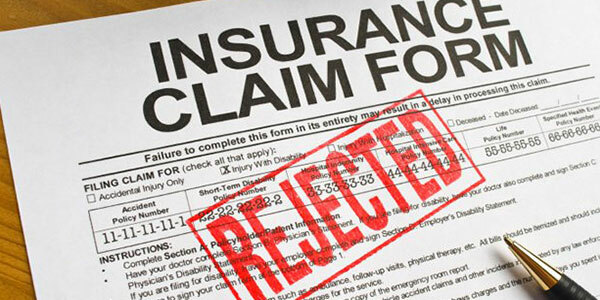 If your claim is delayed or denied altogether, find out a valid reason. Don’t let the insurance company give you the runaround. Get in touch with the state’s department of insurance or the attorney general. Usually, it just takes a call from the department’s or attorney general’s office to resolve your issue and this doesn’t cost you a penny. However, if the insurer still doesn’t respond or denies the claim, you should talk to a claims attorney and take it to the court. In this industry, the sooner you react, the better results you get. As soon as you receive a denial or an unfavorable response, talk to a contingency lawyer. Get help of a professional as most people set back their cases by trying to solve on their own.